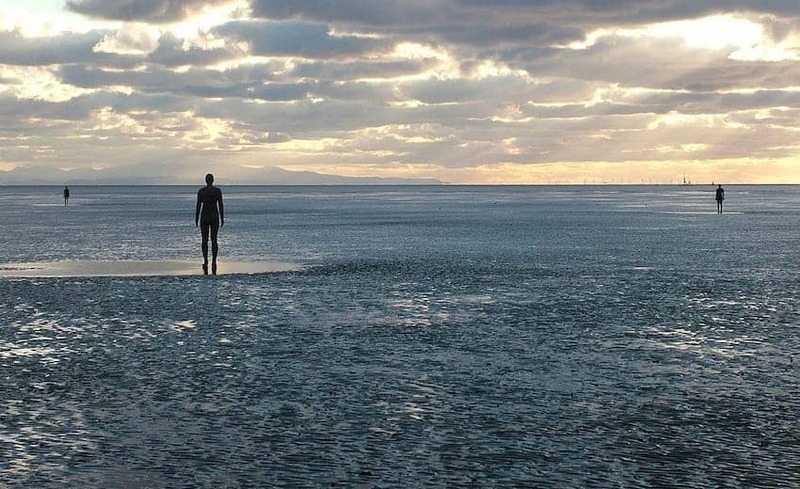 This is a spectacular instalation by Antony Gormley consisting of 100 cast-iron, life-size figures spread along three kilometres of the Crosby Beach foreshore and a kilometre out to sea. Each figure weighs 650 kilos and are casts of the artist's own body. All of them look out to sea, contemplating the horizon. The artist explains that Another Place harnesses the ebb and flow of the tide to explore man's relationship with nature. In this work human life is tested against planetary time. This sculpture exposes to light and time the nakedness of a particular and peculiar body.